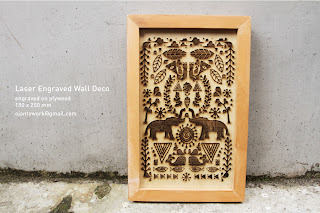 to make this laser engraved wall deco. and then framed it to damar wood frame. yes, technology leads us to different kinds of execution. I think it's still all right, or could be better. For this, I'll use word "precise". with some random design spontaneously made. It tells about environment indeed. I put some of realist and surrealist at one page. I write "JER BASUKI MAWA BEA". it reached by struggle and sacrifices. It's a very deep quotation. 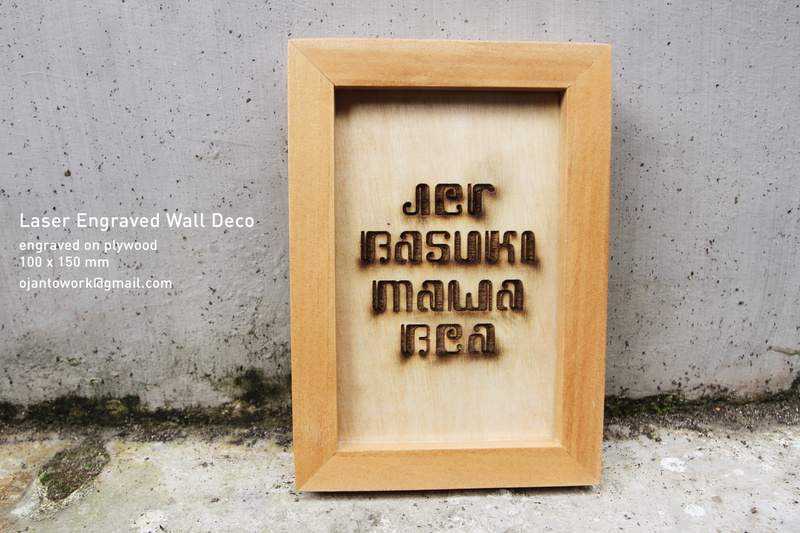 I designed it using font that look like ancient traditional java letter.